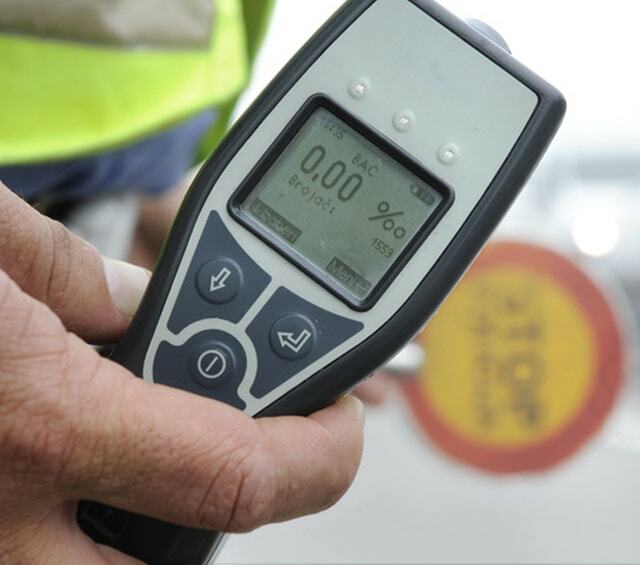 A breathalyser quickly and precisely determines the alcohol levels in exhaled air. In our online shop, you can purchase from a nice selection of breathalyzers and compatible accessories at affordable prices. A breathalyzer, sometimes written breathalyser, provides a determination of the blood alcohol concentration through exhaled air. 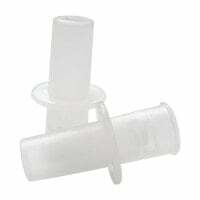 In addition to simple operation, it is also important that breathalyzers produce accurate results. For example, the newer generation breathalyzers can no longer be manipulated by essential oils or tobacco odour, something that is particularly important for rehabilitation clinics and police monitoring traffic. 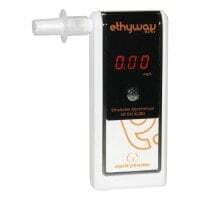 In this category, we offer you precise breathalyzers and alcohol tests, such as the AlcoQuant 6020 Breathalyzer from Envitec. This breathalyser has a large, contrasting display and an illuminted touchpad. The intuitively operated testing device is equipped with an internal memory, is impact resistant, as well as spray water and dirt protected. The AlcoQuant is very ideal for mobile use. 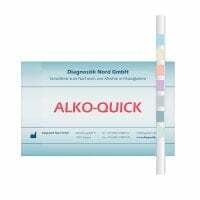 In addition to the breathalyzers for testing exhaled air, this category also provides you with the Alko-Quick test strips for detecting alcohol in saliva, drinks and other liquids. 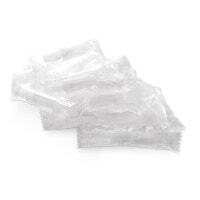 The practical alcohol test strips deliver reliable results within only 2 minutes. Breathalyzers and alcohol tests do not only find use in juvenile detention centers, addition clinics, rehab facilities and police stations, but also in emergency medicine, surgeries and hospitals. Here, you will find your breathalzer or alcohol test: affordably purchase the proper breathalyzer to meet your needs from Praxisdienst!